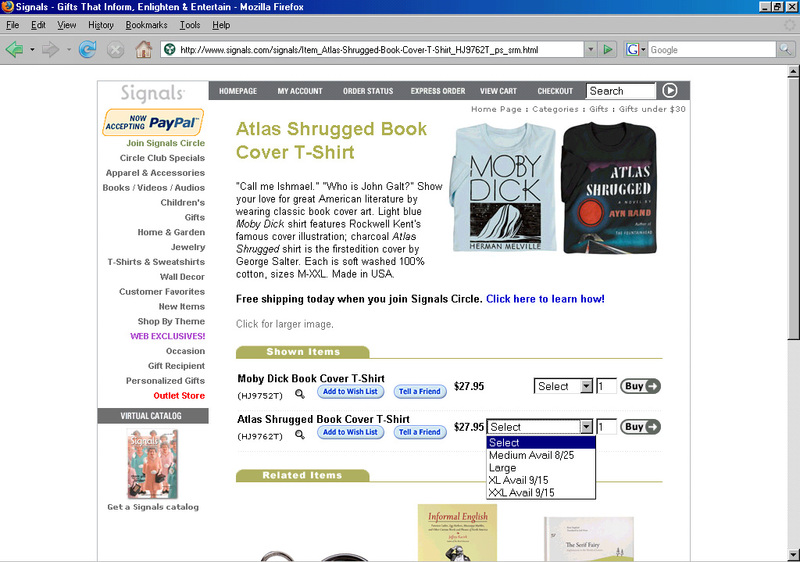 They’re selling T-shirts imprinted with the cover of Ayn Rand’s epic novel, Atlas Shrugged. 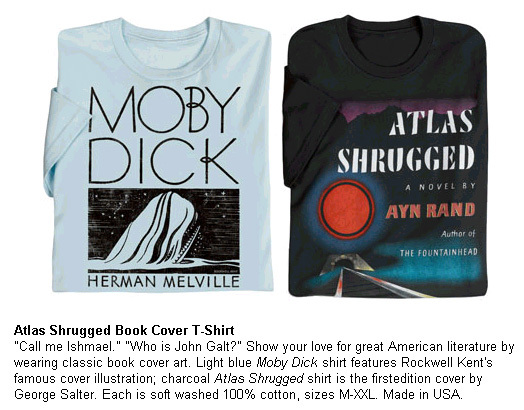 A catalog tied to Public Television, that bastion of progressive thought, that defender of government intervention, that disdainer of market forces, is selling T-shirts imprinted with the cover of the most powerful defense of laissez-faire capitalism ever written. Apparently no one’s in the mood for double entrendres in this economy. It’s especially encouraging to see the catalog describe Atlas Shrugged as “great American literature.” That’s not what the reviewers said when the book came out in 1957. Of course, Atlas Shrugged was fiction then. Today it’s a diary of the Obama administration. Looks like it’s going to have a happy ending.